Summary: A brilliant new, original, and thoroughly modern musical about grief, loneliness, the pain of growing up, and finding connection in the social media age. Highlights: Friends, this is it. This is the one you'll be hearing about, and if you're a musical theater nerd and/or a teenager you probably already have. Dear Evan Hansen is a fresh, exciting, and relevant musical in the vein of Fun Home, Next to Normal, and Spring Awakening. Evan is a kid with social anxiety who has trouble making friends and fitting in in high school (which sounds pretty familiar to me), until a tragedy at school catapults him into fame and popularity. He finds the family he always wanted, a girlfriend, and a purpose, but it's all built on a lie that inevitably falls apart. 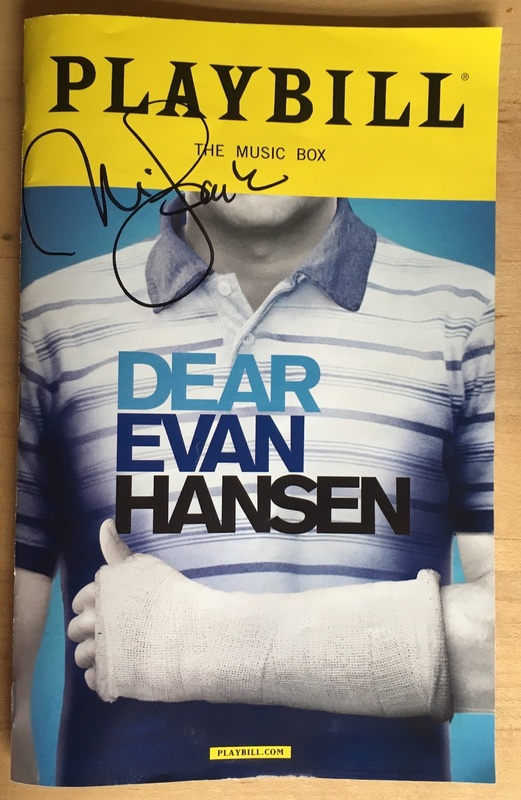 Unlike anything I've seen on stage, Dear Evan Hansen captures what it's like for us, and especially kids, to live in the social media age when our very existence seems dependant on our social media presence. It shows the best part of the Internet - the connection that people can find, realizing they're not alone in whatever they're feeling - and the worst part of the Internet - people feeling entitled to judge and bully and belittle others online. Ben Platt is a revelation as Evan Hansen. He completely becomes Evan, he goes somewhere else, the character lives in every cell of his body in an incredibly physical performance that must leave him (and us) spent. His voice is incredible on what is the musical theater score of the summer, but more incredible is the emotion he puts into it. I've never seen anything like Ben's performance; he absolutely ripped my heart out. The entire eight-person cast is great, including Rachel Bay Jones as Evan's mom (with a heart-wrenching second act number sure to resonate with parents); Laura Dreyfuss, Mike Faist, Will Roland, and Kristolyn Lloyd as fellow students, and Jenniver Laura Thompson and Michael Park as the grieving parents. The show is smartly and dynamically staged (by director Michael Greif, who also brought us RENT, Next to Normal, et al) on a modern set with social media images and videos projected everywhere (scenic design by David Korins, projection design by Peter Nigrini). If you get a chance to see Dear Evan Hansen when you're in NYC, take it. Tickets will only become harder to get as Tony time approaches. It is THE musical to see in 2017; an ingenuous work that shows just what the art form of musical theater can do. *I decided to go with an abbreviated Fringe-style summary for my NYC 2017 trip, since I am in the greatest city in the world with much more exciting things to do than write! Click here to see all of my Broadway-related blog posts.